A Lion Of Judah Has Passed! Home Editorials A Lion Of Judah Has Passed! 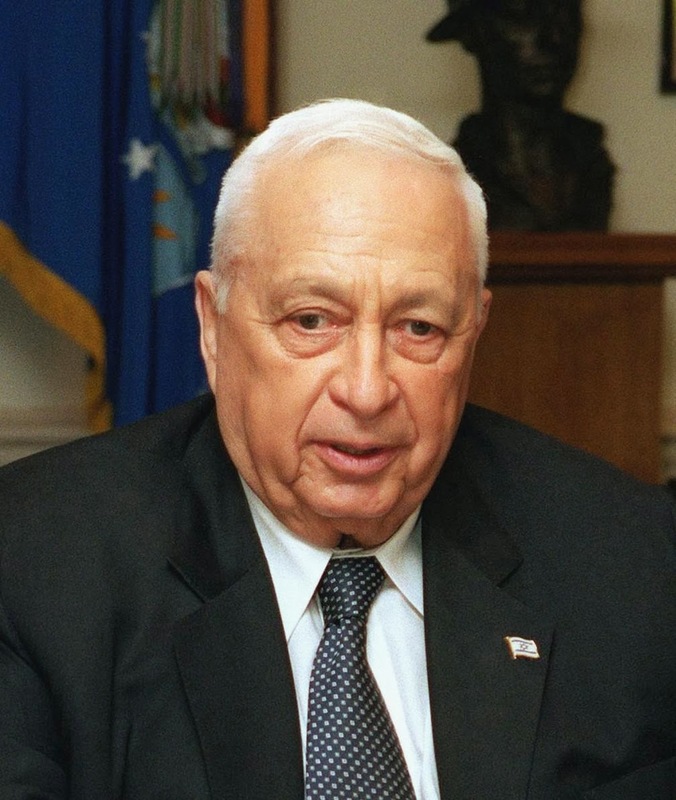 It is with a heavy heart that I announce the death of former Prime Minister Ariel “Arik” Sharon. He was born on 26 February 1928 in Kfar Malal. At age 10, Sharon entered the Zionist youth movement Hassadeh. As a young teenager, he first began to take part in the armed night-patrols of his moshav. In 1942 at the age of 14, Sharon joined the Gadna, a paramilitary youth battalion, and later the Haganah, the underground paramilitary force and the Jewish military precursor to the Israel Defense Forces (IDF). Sharon’s unit of the Haganah became engaged in serious and continuous combat from the autumn of 1947, with the onset of the Battle for Jerusalem. Without the manpower to hold the roads, his unit took to making offensive hit-and-run raids on Arab forces in the vicinity of Kfar Malal. In units of thirty men, they would hit constantly at Arab villages, bridges and bases, as well as ambush the traffic between Arab villages and bases. In 1953, he founded and led the “101” special commando unit which carried out retaliatory operations against Palestinian fedayeen. Sharon was appointed commander of a Paratroop Corps in 1956 and fought in the Sinai Campaign. In 1957, he attended the Camberley Staff College in Great Britain. Between 1958 and 1962, Sharon served as Infantry Brigade Commander and then Infantry School Commander, and then attended Law School at Tel Aviv University. He was appointed Head of the Northern Command Staff in 1964 and Head of the Army Training Department in 1966. He participated in the 1967 Six Day War as commander of an armored division. In 1969 he was appointed Head of the Southern Command Staff. Sharon resigned from the army in June 1972, but was recalled to active military service in the 1973 Yom Kippur War to command an armored division. He led the crossing of the Suez Canal which helped secure an Israeli victory in the war and eventual peace with Egypt. Ariel Sharon was elected to the Knesset in December 1973, but resigned a year later, serving as Security Adviser to Prime Minister Yitzhak Rabin (1975). He was elected to the Knesset in 1977 on the Shlomzion ticket. Following the elections, he joined the Herut party and was appointed Minister of Agriculture in Menachem Begin’s first government (1977-81). One of his priorities was to pursue agricultural cooperation with Egypt. In 1981, Ariel Sharon was appointed Defense Minister, serving in this post during the Lebanon War, which brought about the destruction of the PLO terrorist infrastructure in Lebanon. In the realm of international relations, he was instrumental in renewing diplomatic relations with the African nations which had broken off ties with Israel during the Yom Kippur War. In November 1981, he brought about the first strategic cooperation agreement with the U.S. and widened defense ties between Israel and many nations. He also helped bring thousands of Jews from Ethiopia through Sudan. In 1983, Sharon resigned as Defense Minister after a government commission found him indirectly responsible for the September 1982 massacre of Palestinians at the Sabra and Shatila refugee camps by Lebanese Phalangists. Sharon remained in the government as a minister without portfolio and then served as Minister of Industry and Trade from 1984-90. In this capacity, he concluded the Free Trade Agreement with the U.S. in 1985. In 1998, Ariel Sharon was appointed Foreign Minister and headed the permanent status negotiations with the Palestinian Authority. While serving as Foreign Minister, Sharon met with U.S., European, Palestinian and Arab leaders to advance the peace process. He worked mostly to create and advance projects such as the Flagship Water Project funded by the international community to find a long-term solution to the region’s water crisis and a basis to peaceful relations between Israel, Jordan, the Palestinians and other Middle Eastern countries. Following the election of Ehud Barak as Prime Minister in May 1999, Ariel Sharon was called upon to become interim Likud party leader following the resignation of Benjamin Netanyahu. In September 1999, he was elected Chairman of the Likud. He also served as a member of the Foreign Affairs and Defense Committee in the Knesset. On September 28, 2000, Sharon made a visit to the Temple Mount in Jerusalem, the holiest place in Judaism to emphasize Israel’s claim to sovereignty over the Temple Mount. Palestinians maintained that Sharon came with “thousands of Israeli soldiers” and defiled a Muslim holy place, when in fact, Israel’s Internal Security Minister Shlomo Ben-Ami permitted Sharon to visit the Temple Mount only after calling Palestinian security chief Jabril Rajoub and receiving his assurance that if Sharon did not enter the mosques, no problems would arise. Sharon did not attempt to enter any mosques and his 34 minute visit was conducted during normal hours when the area is open to tourists. Palestinian youths – eventually numbering around 1,500 – shouted slogans in an attempt to inflame the situation. Some 1,500 Israeli police were present at the scene to forestall violence. In a special election held February 6, 2001, Ariel Sharon was elected Prime Minister. He presented his government to the Knesset on March 7, 2001. After calling early elections to the 16th Knesset, which were held on January 28, 2003, Ariel Sharon was charged by the president with the task of forming a government and presented his new government to the Knesset on February 27, 2003. After several years of bloodshed, terror, and stalled peace talks with the Palestinians, Sharon devised a bold plan that would ensure a higher degree of security for Israelis, and improve the lives of Palestinians. While Palestinian terrorism against Israelis was at its peak, and going virtually unchecked by Arafat and other Palestinian leaders, Sharon decided that Israel should act unilaterally to improve its security situation and reduce bloodshed. This plan, known as the disengagement plan, called for the complete withdrawal of Israeli troops and settlers in the Gaza Strip, as well as the dismantlement of all settlements in the area, including four settlements in northen Samaria. Between August 16 and August 30, 2005, Israel safely evacuated more than 8,500 Israeli settlers and, on September 11, 2005, Israeli soldiers left Gaza, ending Israel’s 38-year presence in the area. The implementation of the disengagement plan was viewed as a success by most of the Israeli public, although it sparked bitter protests from ministers of Sharon’s Likud Party, causing a party schism. Facing bitter infighting in Likud, Sharon formally resigned from the party to form a new centrist party, “Kadima,” or “Forward” on November 21, 2005. In mid-December, 2005, Sharon spent two days in a hospital after suffering a minor stroke, which doctors said caused no irreparable brain damage. However, on January 4, 2006, Sharon was rushed to the hospital following another, more serious stroke. Sharon suffered a massive brain hemorrhage, which caused extensive cerebral bleeding. Prime Minsterial duties were turned over to Ehud Olmert, who held a cabinet meeting on January 5, 2006, to signal the transfer of power. Olmert was subsequently elected Prime Minister until elections on March 28, 2006. “Arik was a brave soldier and a daring leader who loved his nation and his nation loved him. He was one of Israel’s great protectors and most important architects, who knew no fear and certainly never feared vision, He knew how to take difficult decisions and implement them. We all loved him and he will be greatly missed,” Simon Perez. “The State of Israel bows its head over the passing of former prime minister Ariel Sharon. His memory will forever be held in the heart of the nation. Sharon played a central role in the struggle for Israel’s security throughout its existence. He was, first and foremost, a courageous fighter and a distinguished general, one of the greatest commanders the IDF has ever known. When he left the military, he continued to act on behalf of the people of Israel, both in the capacity of the many roles he filled in Israel’s successive governments and as the country’s eleventh prime minister,” continued the prime minister. “He will forever be remembered.” Benjamin Netanyahu. “One of the state of Israel’s greatest soldiers and warriors before and since it was founded. He was directly in the line of fire throughout his entire life” — first on the frontlines of battle, then on the political frontlines. Ariel Sharon’s family was by his side when he passed. He nursed remarked that he was fighting for life until the end. Except for the disastrous pull out from Gaza, Ariel Sharon was an exceptional leader of the nation of Israel. If he hadn’t had the stroke that felled him, I do believe that Israel would have taken a different direction in policy. Today a Lion of Judah has gone. His like will not return for a long time!